A SUNDERLAND councillor is encouraging residents to open up over a cuppa in a bid to conquer mental health challenges. 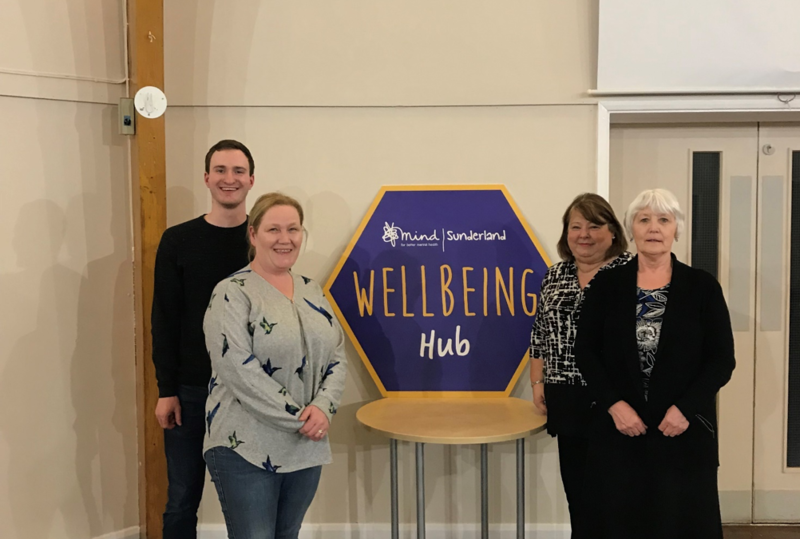 Sandhill ward councillor Debra Waller, who is Sunderland City Council’s mental health champion, is working alongside local campaigner Nathan Davison, to organise weekly coffee mornings with Mind to encourage vulnerable residents to share their experiences and seek support. The councillor and activist has invited local residents to attend weekly sessions, which are taking place at St Aldates Court in Grindon and Greenside Court in Thorney Close, and soon children at Sandhill School will be trained as Mental Health champions, to encourage the next generation to talk openly and without stigma about the challenges they are facing. The activity has been funded through Cllr Waller’s West Area community chest grant. Debra said: “It’s so important that children and young people are able to access help when they are struggling with their emotions. Proactivity is key; helping people to open up and deal with their feelings before they escalate to more serious mental health issues. Friday 10am-12pm – St Aldates Court, Gartland Road, Grindon, Sunderland SR4 9LT.